Martyrdom of St. Catherine (Die Marter der heiligen Katharina), woodcut from 1492. 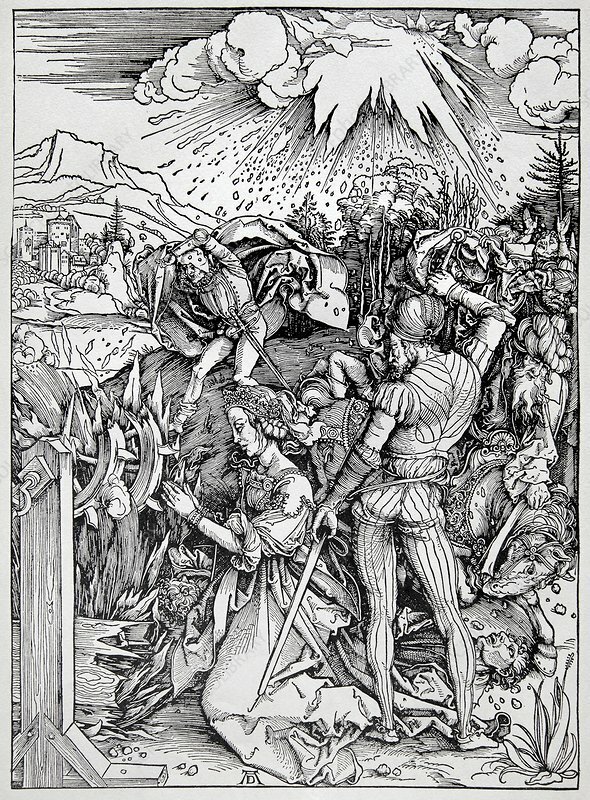 This image, by Austrian artist Albrecht Durer (1471-1528), depicts the falling of the Ensisheim meteorite on the 7th of November 1492. The meteorite fell in Alsace, France (then part of Austria) and was seen as an omen.